"We are proud to have reached this level of partnership with Intacct," said Massey Consulting President and Founder, Philip Massey. "We are impressed with the quality of the Intacct offering and the need it fulfills in our client base." RALEIGH, N.C., Aug. 5, 2014 (SEND2PRESS NEWSWIRE) — Massey Consulting is pleased to announce that Intacct, a leader in cloud-based accounting software, has named the company a Premier Partner. The purpose of the Premier Partner distinction is to acknowledge Intacct partners who demonstrate an exceptional commitment to providing and supporting Intacct. Massey explains that, while Massey Consulting is proud to have fulfilled Intacct’s stringent requirements for Premier Partner, the significance extends beyond the designation itself. The Intacct Premier Partner program is an annual designation. Partners earning the honor must fulfill a range of requirements including achieving pre-defined sales and renewal goals, demonstrating future growth dedication, and committing to excellent personnel resources including at least two certified Intacct consultants and a certified demo champion on staff. Intacct brings cloud computing to finance and accounting. Intacct’s award-winning systems are the preferred financial applications for AICPA business solutions. Intacct accounting software, in use by more than 7,300 organizations from startups to public companies, is designed to improve company performance and make finance more productive. Hundreds of leading CPA firms and Value Added Resellers also offer Intacct to their clients. The Intacct system includes applications for accounting, contract management, revenue recognition, project accounting, fund accounting, inventory management, purchasing, vendor management, financial consolidation and financial reporting, all delivered over the Internet via cloud computing. 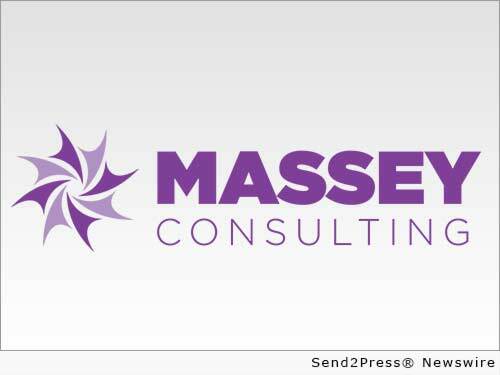 Massey Consulting, based in Raleigh, N.C., specializes in accounting software consulting, selection, implementation, integration and support for Intacct Financial Accounting and Microsoft Dynamics GP. Massey Consulting’s team of consultants provides customers a wealth of practical field experience gained as controllers, accountants, and information systems professionals in a wide range of business environments. For more information about our services, visit our website at http://www.masseyconsulting.net/ or call us at (919) 875-9635. Original Keywords: accounting software, Intacct, SaaS, cloud based, ERP, AICPA business solutions, Intacct Financial Accounting, Microsoft Dynamics GP Massey Consulting Raleigh North Carolina RALEIGH, N.C.
REFERENCES: Business News, accounting software, Intacct, SaaS, cloud based, ERP, AICPA business solutions, Intacct Financial Accounting, Microsoft Dynamics GP Massey Consulting Raleigh North Carolina RALEIGH, N.C.